In the beginning there was Kolberg. If we want to engage in traditional music in the twenty-first century, we need to start with Kolberg. Kraków-based singer and instrumentalist Wodecki may have claimed to „start with Bach”, but in fact he was taught how to play the instruments by Albina Kuraś, one of the most notable folk artists. Zbigniew Wodecki, Albina Kuraś and Witold Broda in Szlakiem Kolberga (On the Kolberg Path), source: TVP Kultura. Even though the poll conducted during the Kolberg Year revealed that only a small percentage of people living in Poland recognised his name, Kolberg has indeed a cult status amongst some more traditionalist circles. In fact, the work he left behind is so extensive that even the Oskar Kolberg Institute from Poznań has trouble documenting it. Even so, Kolberg was neither the first nor the only one in his profession. Before him, the richness and depth of Polish folk culture, including music, was discovered by other researchers and enthusiasts of folk art antiques, such as Zorian Dołęga-Chodakowski, whose O Sławiańszczyźnie przed chrześcijaństwem (On the Slavic Lands Before Christianity) is still quite popular. The interest in Polish folklore has never really waned – there are still plenty of passionate regional activists eager to document local folk art. Be that as it may, the master from Przysucha and his accomplishments in the field of folklore discovery always remain the benchmark for all others who wish to follow in his footsteps. Piotr Gan was born in the eastern part of Poland (ceded to the Soviet Union after the Second World War and now in the independent state of Ukraine) in January 1914. Today, he is often known as the ‘Kolberg of Kielecczyzna’. Even though Piotr Gan hailed from Kamieniec Podolski (now Kamianets-Podilskyi) and received his music education in the Conservatory of Music in Wilno (now Vilnius in the state of Lithuania), he spent most of his professional life in the region of Kielce (known as Kielecczyzna), where he arrived, by a blessed quirk of fate, after the end of the Second World War. He found his first employment in a department of culture as a mere clerk, but his genuine passion for folk music charted the course of his subsequent career. He first started to document his folk adventures by taking photos and recounting his experiences in the local press. In the late 1950s, he learnt of the amazing possibilities of a tape recorder, with which he could record the voices of singers and the sounds of the instruments, and store them for posterity. In the early 1960s, he finally relinquished his office duties in order to ply his trade full-time as a freelance journalist of Radio Kielce. That moment marked a new phase of his career. 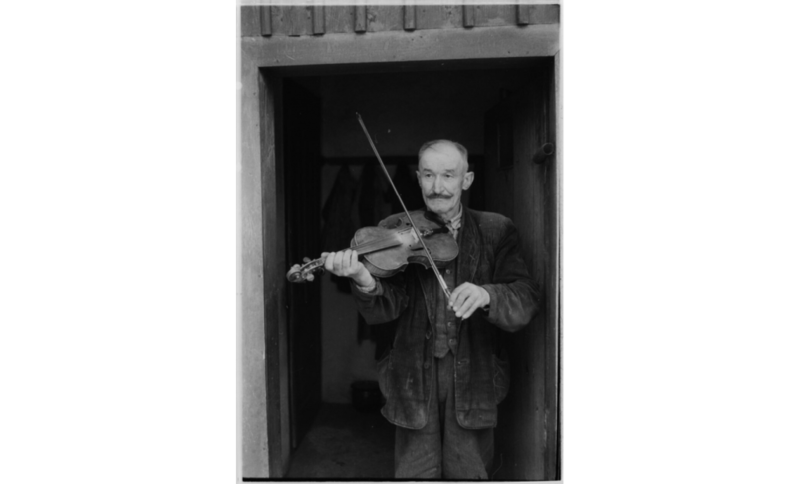 Each week, he drove out in an OB van to collect songs and instrumental music that he later broadcast as part of the Muzyczna premia tygodnia (Musical Bonus of the Week) and Z fonoteki naszego folkloru (Our Folklore in Recordings) series. Play it well and play it short! Piotr Gan’s field work in Kielecczyzna coincided with a broader perception of folk culture exemplified in multiple events and enterprises. 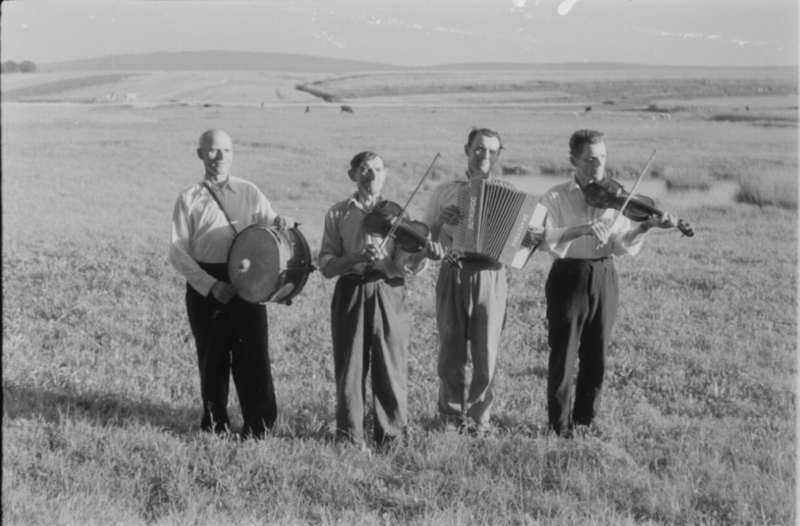 One of them was the nationwide Call for the Collection of Folk Music Artefacts (Akcja Zbieranie Folkloru Muzycznego, AZFM). Between 1950 and 1954, regional stations of the AZFM were set up all around the country. Naturally, one of them also appeared in Kielce, the principal town of the region; its most active staff included Jan Chorosiński and Aurelia Wierzchowska. The tapes that the researchers used were hard to come by, so in order to record as varied material as possible, only the opening fragments were stored on the electric equipment and the rest was scribbled down. Piotr Gan’s procedure, accordingly, was to record only the first two minutes of each song, but he also had a very specific purpose in doing that, namely the requirements of his radio broadcasts. Piotr came up with the following pattern: a maximum of 2.20’ for the oberek and a maximum of 2.15’ for the polka. He would always carry a stopwatch with him. When the time limit was about to expire, he would signal the musicians to stop playing. However, when they were playing really well, he let them continue. recounts his former colleague Jerzy Szczepanek. 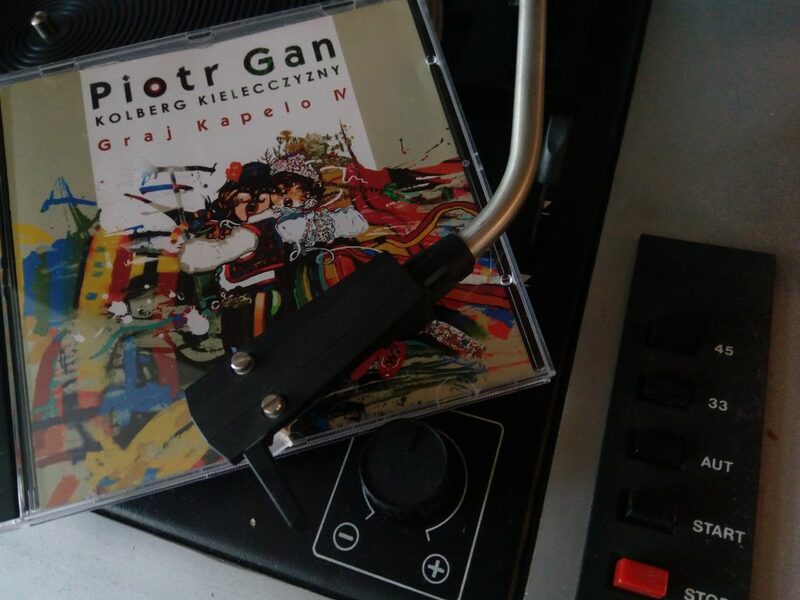 Piotr Gan devoted almost thirty years of his life to recording traditional music, which resulted in some four thousand tapes, now preserved by Radio Kielce. During the Kolberg Year, Piotr Gan was honoured with a dedicated website (plus the release of an album) and, more recently, his legacy has been promoted by the Fundacja Muzyka Zakorzeniona foundation (see also Gan’s Archive). The portal presents a rich selection of Piotr Gan’s broadcasts made for Radio Kielce. In recognition of his achievements, the journalist and activist also received the Oskar Kolberg Prize, the most coveted distinction in the field of folk culture research. Of considerable significance is the fact that the researcher’s work was not limited to music. His documentation also covers a wide range of harvest rituals and carnival customs, including the notorious Beheading of Death found in the region of Jedlińsk. 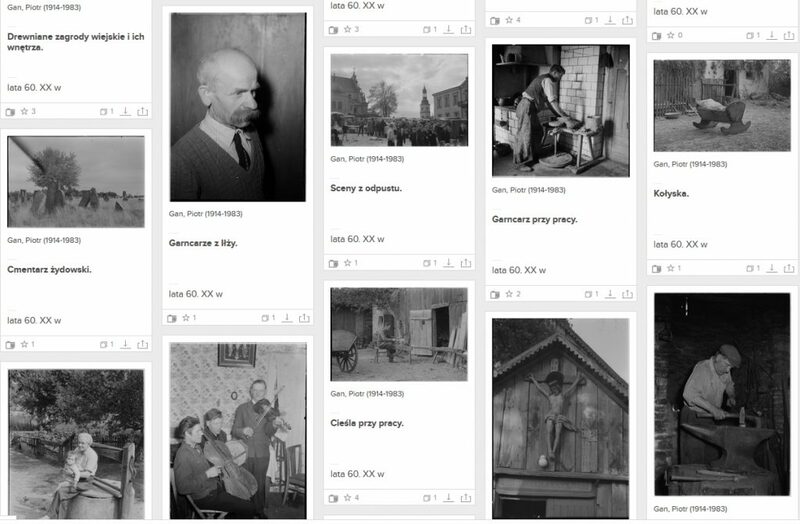 Besides recording music and documenting local rituals, Gan’s extensive legacy also includes thousands of photographs depicting musicians, potters, women at work or folk architecture. Although he did not have to struggle with a pencil to record the melodies he heard (he had a comparatively modern tape recorder to do the trick), Piotr Gan has been repeatedly compared to Kolberg, the nineteenth-century cult figure of Polish ethnography and folklore studies. He left behind kilometres of recorded tapes documenting local history, stories told by (extra)ordinary people, customs, rituals and melodies. They have documented the memory of him, as well.